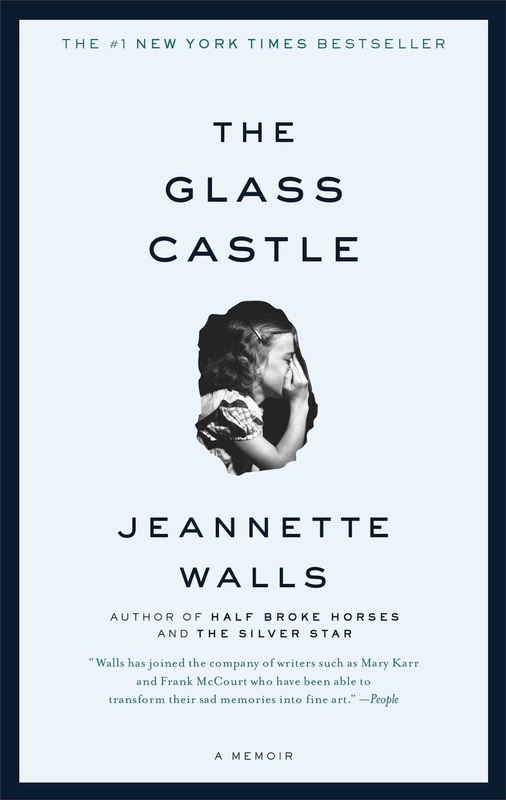 The Glass Castle by Jeannette Walls is finally going to be released in the theaters! This is a book that I read years ago and what a book it is! It is a memoir that seemed to take the literary world by storm when it was first released in 2005 and still captures audiences today. 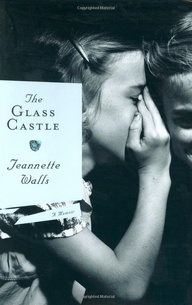 Even though I read it years ago, it made such an indelible impression that it's still one of the first books I recommend if someone asks me for a good book suggestion. My son, husband, and daughter have now read it at my urging and they were as blown away as I was. My sisters, mother, and most of my book club members had read it years ago, too—all with the same reaction. It's no surprise that we, along with so many other readers, are excitedly awaiting the movie release on August 11, 2017. It stars Brie Larson as Jeannette, Woody Harrelson as her dad, and Naomi Watts as her mom. I'm hoping the movie will live up to the book. For those who have not yet read it, I am re-posting my review from 2013. 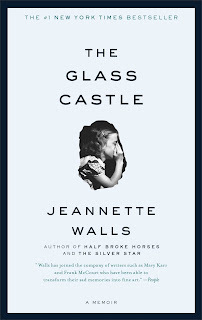 The Glass Castle is a memorable memoir about kids growing up in a highly dysfunctional family. Both parents were extremely intelligent, but seemed to do everything they could to avoid work and properly provide for Jeannette and her three siblings. Instead, the kids were left dirty, poor, often times homeless, unsupervised, and always hungry. What makes this book so memorable is that incredible incidents were heaped on one after the other. The hits just kept coming. It left me in slack-jawed astonishment that people could really be like that. And surprisingly, Jeannette didn't seem to judge her parents harshly, when I’m not sure most people would be so tolerant. Jeanette's father was an alcoholic. Her self-centered mother only wanted to be an artist. She was seriously devoid of maternal instincts genes. The need to work so her family could eat was a distasteful concept. When she was “forced” to take a teaching job, the kids were the ones who ended up grading her papers and nearly pushing her out the door to work. Both parents made sure their kids knew Santa Claus wasn't real, just in case they got it into their heads that they might actually get lavish presents. They weren't complete scrooges, though. They did celebrate Christmas—usually just a week later. That way they could grab discarded Christmas trees, ribbons, and bows after the fact. Their unconventional upbringing sometimes made their kids look at the world with a unique perspective. One memorable moment was when Jeannette’s dad gave her a star for a Christmas present. He told her to pick one out of the sky and she could have it for keeps. “Years from now, when all the junk they [the other kids] got is broken and long forgotten,” Dad said, “you’ll still have your stars.” Yet this one touching moment was overshadowed by the alcoholism that would bring him down to shameful and unconscionable depths that no child could forget.